Mandarin red essential oil (organic) (1 ml) + Winter Savory essential oil (organic) (1 ml) + Lemon essential oil (organic) (1 ml) + Cinnamon bark oil (organic) (1 ml) . Main properties: soothing, slimming, anti stretch mark, relaxing, antispasmodic, digestive. 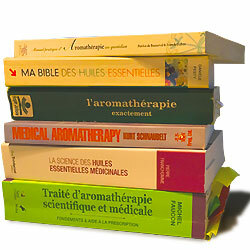 Unrest: Mandarin essential oil + Seville orange essential oil + Lavandin. 2 ml of each in 100 ml of jojoba or macadamia vegetable oil. Massage the soles of the feet and the solar plexus. Asthma: 5 ml of Mandarin essential oil (organic) + 5 ml of Myrtle essential oil + 5 ml of Wintergreen essential oil + 10 ml of Tarragon. To mix in a bottle. Massage the solar plexus and the back using 4 to 5 drops of this blend several times a day if necessary. Hair loss: 5 ml of Mandarin essential oil (organic) + 2 ml of Ginger essential oil + 5 ml of Geranium essential oil + 200 ml of a neutral shampoo. Massage the scalp every day. See Rosemary for another recipe. 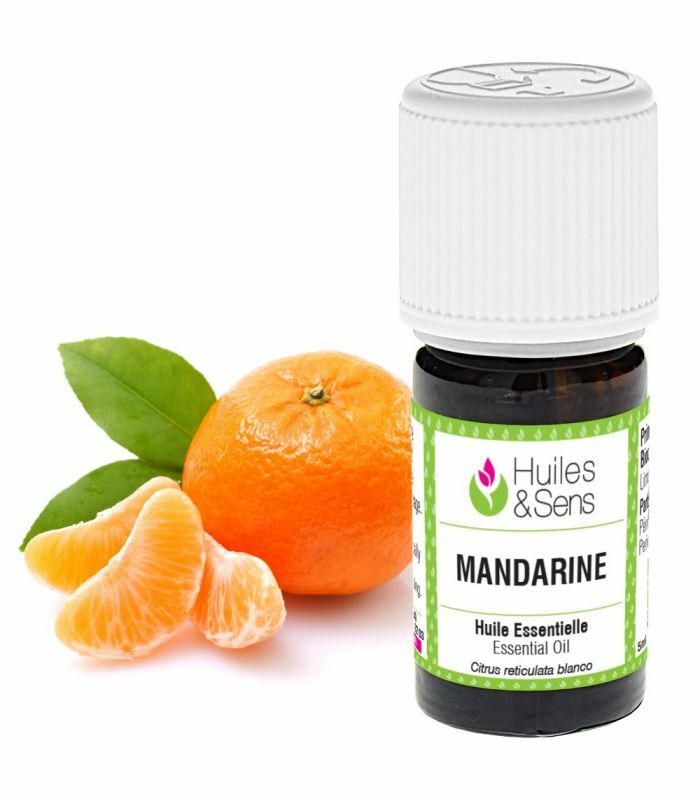 Constipation: 5 ml of Mandarin essential oil (organic) + 2 ml of Pine essential oil + 5 ml of Tarragon. Mix in a bottle. Take 2 drops on a spoon of honey or olive oil, 3 times a days for 1 week at the most. Insomnia: Mandarin essential oil (organic) + Lavender essential oil + Ledon essential oil + Ravensara. 2 ml of each to dilute in 10 ml of macadamia or jojoba vegetable oil. Massage the solar plexus and the soles of the feet using a few drops of this blend every day at bedtime. Nausea: 1 ml of Mandarin essential oil (organic) + 0.2 ml of Tarragon essential oil + 0.5 ml of Roman or German chamomile essential oil +. Take 1 drop of this blend on a spoon of honey, up to 6 times a day (3 times for a child). Menstrual pain: 8 ml of Mandarin essential oil + 2 ml of Seville orange essential oil + 2 ml of Tarragon essential oil + 50 ml of jojoba or macadamia vegetable oil. Massage the lower abdomen morning, noon and evening until improvement. Stretch marks (preventive): 2 ml of Mandarin essential oil (organic) + 2 ml of Geranium essential oil + 1 ml of Lavender essential oil + 80 ml of Rosehip vegetable oil. Massage the concerned areas morning and evening starting from the 5th month of pregnancy. Warts: Mandarin essential oil (organic) + Summer savory essential oil + Lemon essential oil + Cinnamon. 1 ml of each to mix in a bottle. Apply 1 to 2 drops of this blend on the warts morning and evening for several days until they are gone. Contraindications: Do not get exposed to UV after rubbing or massaging this oil as it causes the skin to become photosensitive.